Each year Scotty travels to Hawaii to kickoff the new Tour season. In 2004 he started a tradition of stuffing new headcovers into the lockers of loyal Cameron putter users as a thank you and a surprise for the players. Well, what started as a little putter-maker fun has turned into one of the most expected traditions on Tour. 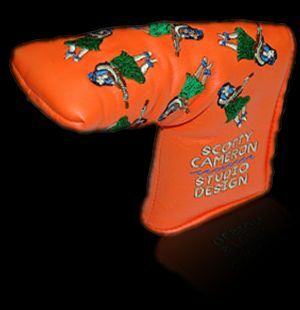 If Scotty shows up without a Hawaiian-themed headcover, hes definitely going to hear about it in the clubhouse. The 2006 headcover features an exquisitely detailed Hula Girl doing a little dance with her ukulele.